Thanks to Baber for providing me info on the compromised sites for this blgo entry. 2016-10-03 - Broadanalysis.com: EITest campaign stopped using a gate. 2016-10-15 - Broadanalysis.com: EITest campaing stops using obfuscation for injected script in pages from compromised websites. Shown above: Injected script from the EITest campaign in a page from the first compromised site. Shown above: Traffic from the first infection filtered in Wireshark. 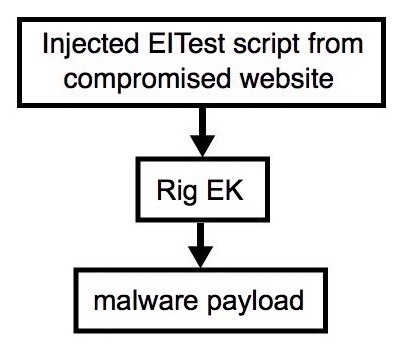 Shown above: Injected script from the EITest campaign in a page from the second compromised site. Shown above: Traffic from the second infection filtered in Wireshark.